"You don't do a raid like this and get away with it." Gravitas Ventures has debuted the first official trailer for a documentary titled Kim Dotcom: Caught in the Web, telling the story of the controversial internet maven known as "Kim Dotcom". He is the founder of MegaUpload, and is being pursued for copyright infringement and money laundering in the United States. Born under the name Kim Schmitz in Germany, Dotcom now lives in New Zealand, hiding out there to prevent from being extradited. The documentary tells the story of the "Most Wanted Man Online", directed by New Zealand doc filmmaker Annie Goldson. As the quotes say, this does look fascinating and important and powerful. I'm always very curious about docs about the internet, because there's so much to explore and to examine. This is a short trailer, but I'm already sold. From his high-security compound in New Zealand, Kim Dotcom (born Kim Schmitz) has been fighting off extradition to the US where charges against him span copyright infringement, embezzlement, conspiracy, fraud and money laundering. If convicted, the "pirate" would face hard time, but he maintains what the 50 million users of his infamous platform, MegaUpload, do with their content is not his problem. The larger-than-life tale of Dotcom, the "most wanted man online," is extraordinary enough, but the battle between Dotcom and both the U.S. government and entertainment industry is one that goes to the heart of ownership, privacy and piracy in the digital age. Three years in the making, eternally timely in subject matter, the story chronicles a spectacular moment in global online history, dubbed the 'largest copyright case’ ever, the intense agency raid on his palatial estate, and the truth about what happened. 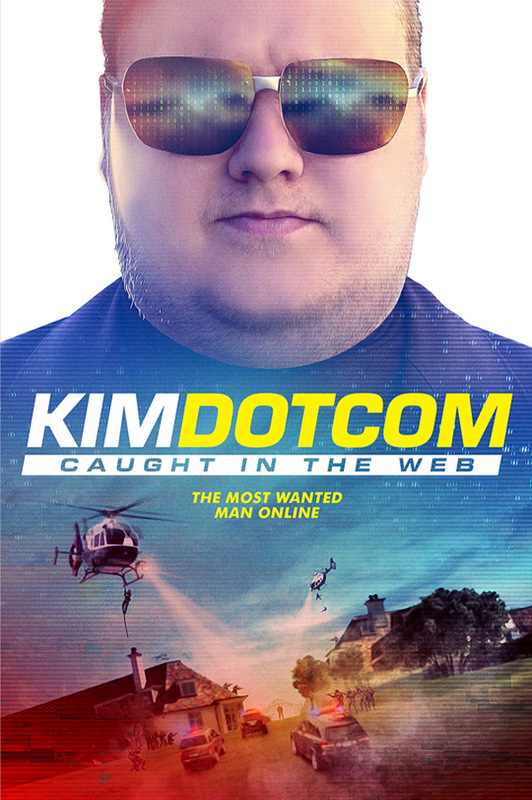 Kim Dotcom: Caught in the Web is directed by filmmaker Annie Goldson, of the docs Punitive Damage, Sheilas: 28 Years On, An Island Calling, and Brother Number One previously. This first premiered at the SXSW Film Festival. Gravitas Ventures releases Kim Dotcom direct to VOD starting August 22nd this year. Anyone?